Four new cuddly koalas arrived Taipei Zoo. 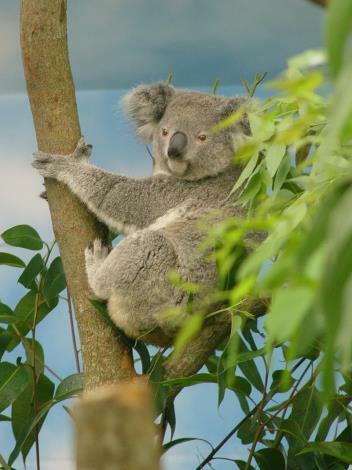 The Zoo introduces koala Coral, koala Empress and koala Tiwi to the public on November 12, 2011. 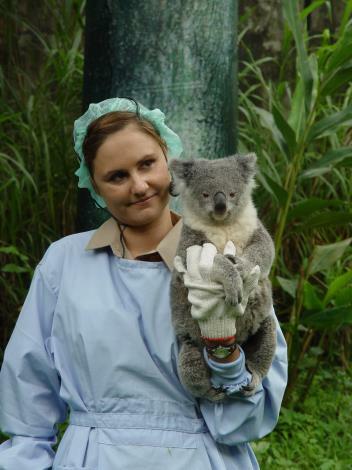 Those new members at Taipei Zoo came from Currumbin Wildlife Sanctuary, Australia. Australia is a country in the Southern Hemisphere and the spring season there is from September to November. The springtime in Australia, also the autumn in Northern Hemisphere, is the breeding season for koalas. So when the zoo keepers observed koala Empress and koala Coral in estrus during the quarantine period, they mate koala Coral with koala Flynn in the first place. But it seemed that koala Flynn did not catch koala Coral's eye. Then the keepers decided to mate koala Empress with koala Flynn. Koala Flynn fell in love with koala Empress at first sight. 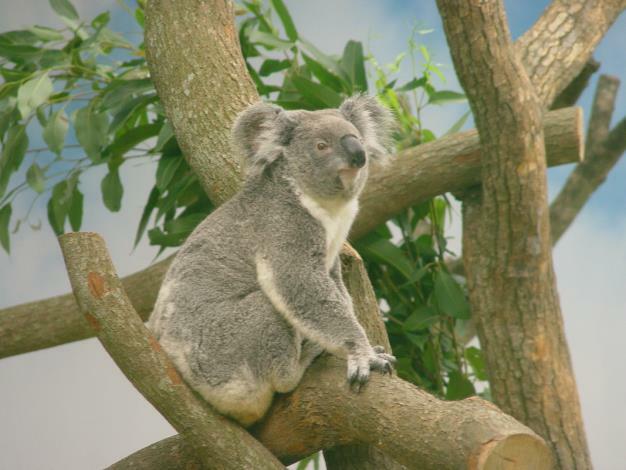 However, the pregnancy period of koalas is approximately 25 to 35 days. 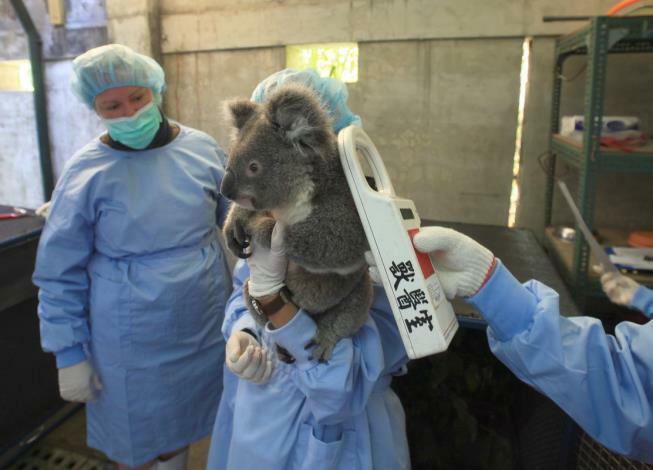 Zoo visitors will need to wait patiently to see if koala Empress will give birth to baby koalas at Taipei Zoo. 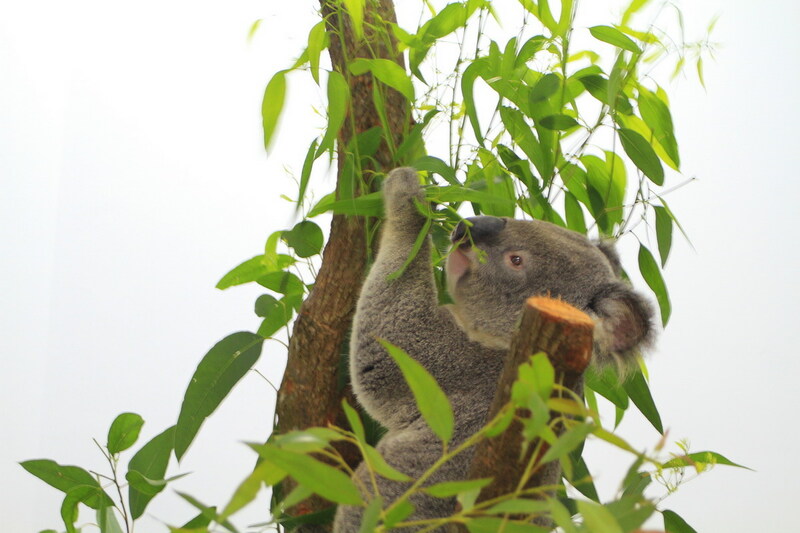 Taipei zoo is currently keeping eight koalas, including twelve-year-old Pearl, fourteen-year-old Patrick and Patrick’s two sons. The sons of koala Patrick are eight-year-old Q-bi and six-year-old Q-di.